With RGB cleaning – nothing is out of reach! RGB High level cleaning service is an essential tool for those with high ceilings and rafters – it is perfect for warehouse environments, gymnasiums, schools, halls, retail establishments and anywhere with ducting or cabling that need constant maintenance. The RGB Gutter Vac can reach heights of 11 metres – easily removing accumulated dirt and dust that can otherwise cause serious faults and issues in air-conditioning and electrical systems. In addition to this, the Gutter Vac can ensure that the aesthetics and appearance of buildings are maintained – cleaning areas that are otherwise far out of reach. 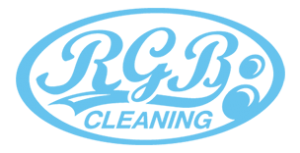 RGB cleaning service offers a specialist high level cleaning experience – with materials and equipment that far exceed old fashioned and time-consuming cleaning methods. We ensure a thorough clean with minimal mess and inconvenience – particularly when needing to reach the dizzy heights!